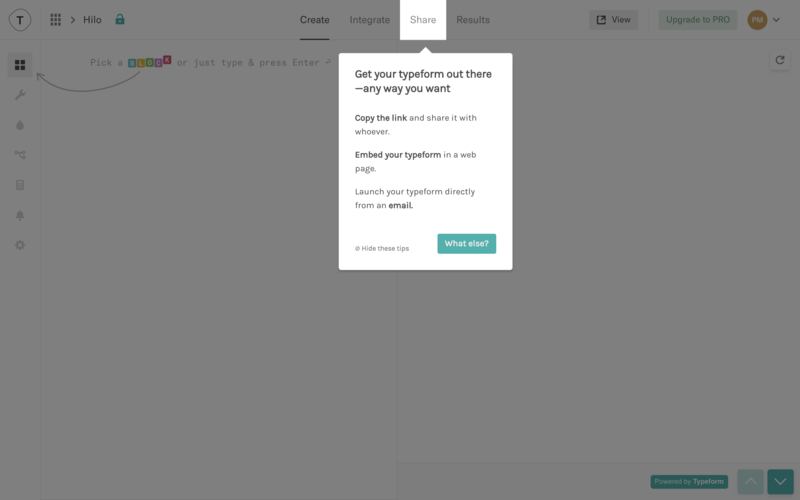 Typeform is a data collection tool. Using their software, companies can conduct surveys and gather important data from their customers. 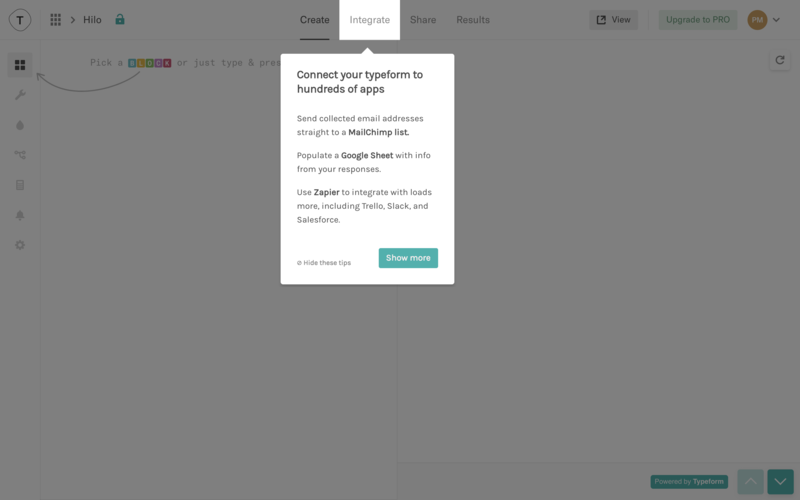 Typeform allows users to create surveys either by using their pre-designed templates or from scratch. 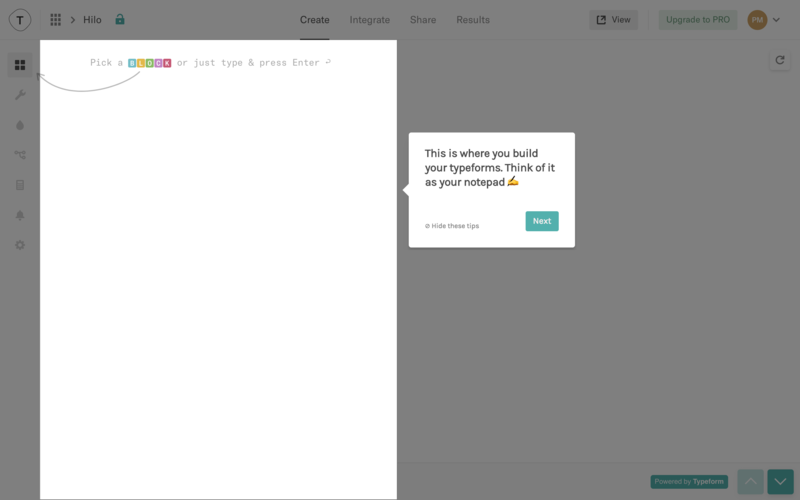 When a user opts to create their first Typeform from scratch, they are taken through a detailed and helpful walkthrough. 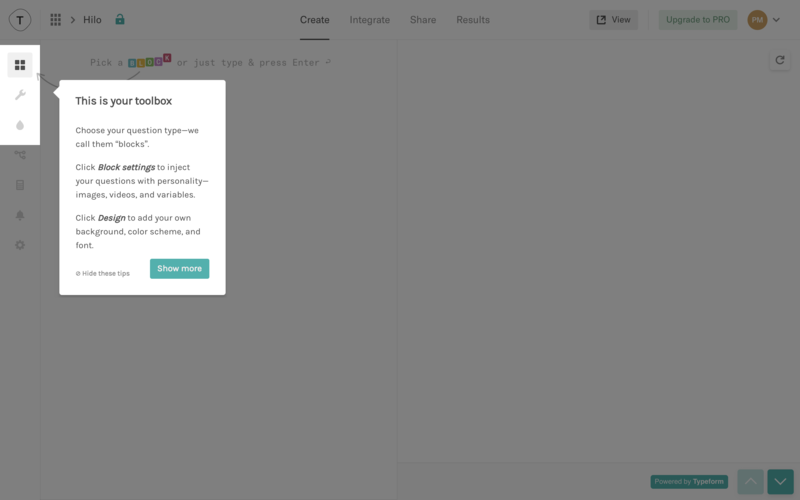 Typeform uses a series of tooltips to walk new users through the Creation dashboard. 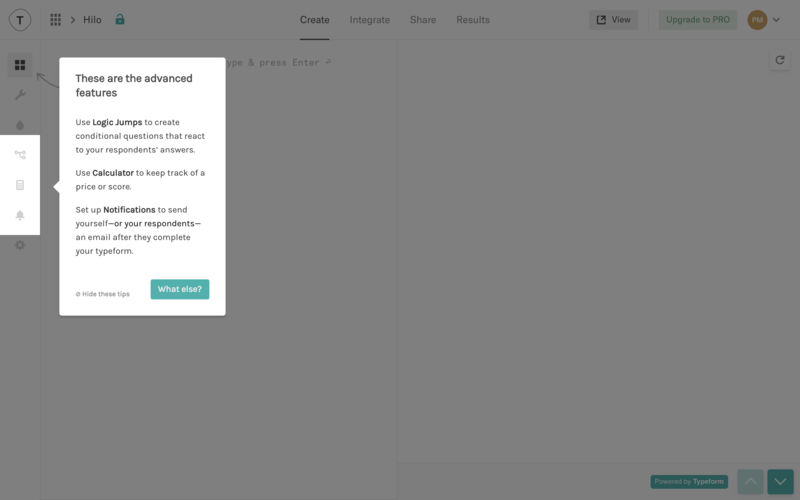 This way, the tool is broken down and organized into easy steps for users to digest and work through. Typeform also sandwiches their tour between a welcome window and a “That's a wrap” window. 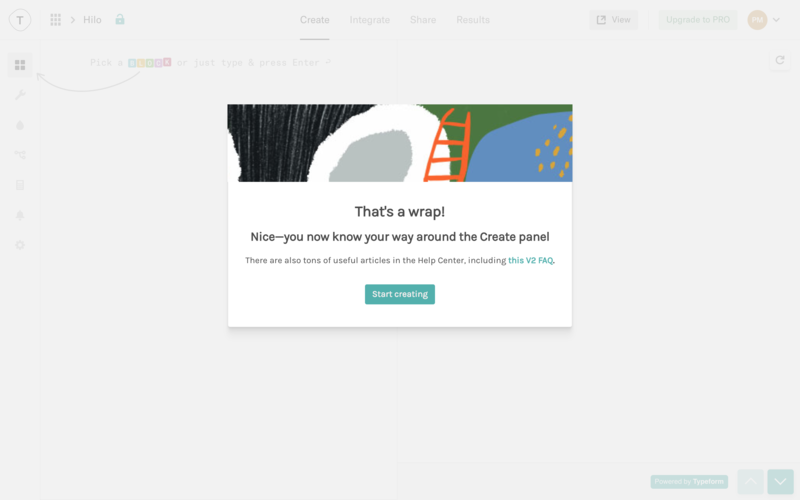 These help set a fun and informational tone for their onboarding, and they ease users into the flow of the tutorial. 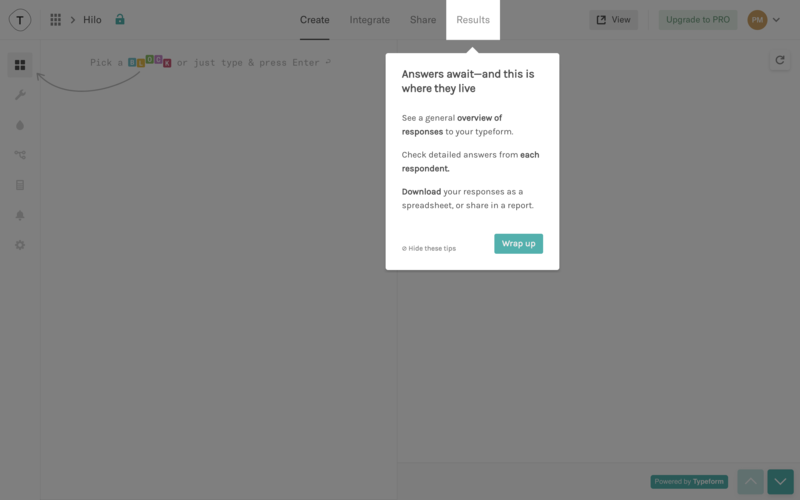 In each tooltip, Typeform takes some measures to organize their text. 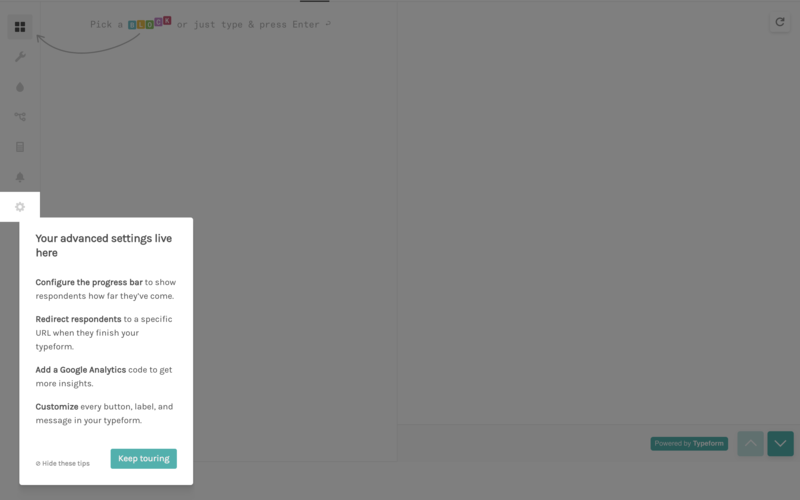 They bold the important text, use bullet points, and include a title so that each card can be parsed through quickly. 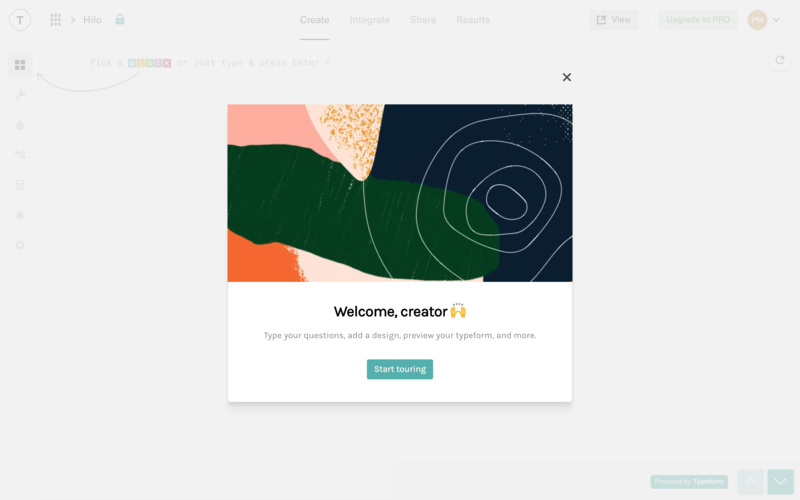 Forecast gives project managers more control over their projects, helping teams make better project decisions, adjust plans quickly, and stay efficient. 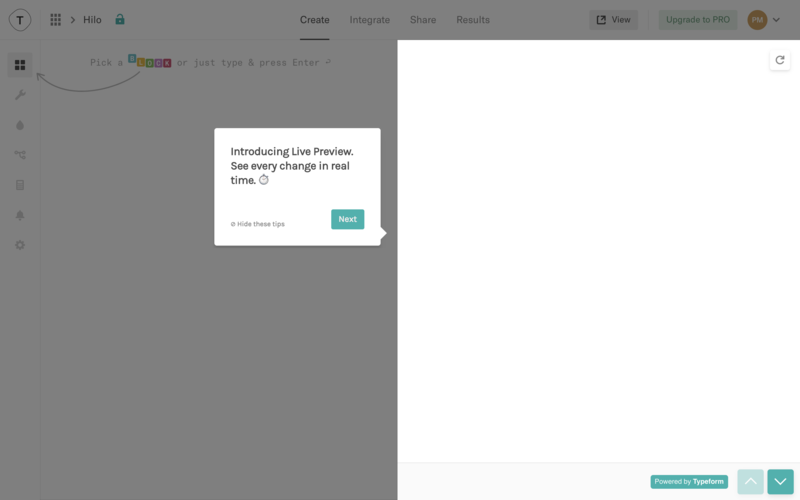 Brand24 demystifies its dashboard immediately with a clear and concise onboarding flow.